If you like the outdoors, you’ll love Blairsville – Union County! Find yourself experiencing some of Georgia’s most beautiful landmarks, like Brasstown Bald, over 80 miles of the Appalachian Trail - including the only portion that passes through a man-made structure, and Vogel State Park. Make a splash in our lakes, creeks, rivers or waterfalls, take in the captivating scenery, or enjoy one of our many festivals held throughout the year. Blairsville offers lots of outdoor fun, delightful attractions, and festivals held throughout the year. Visitors can find themselves hiking, mountain biking, horseback riding, or even exploring three rushing waterfalls. There are warm weather water sports on pristine Lake Winfield Scott and Lake Nottely, and the 20-acre lake and swimming beach at one of Georgia’s most beloved summer getaways, Vogel State Park. Your next mountain getaway is closer than you think. 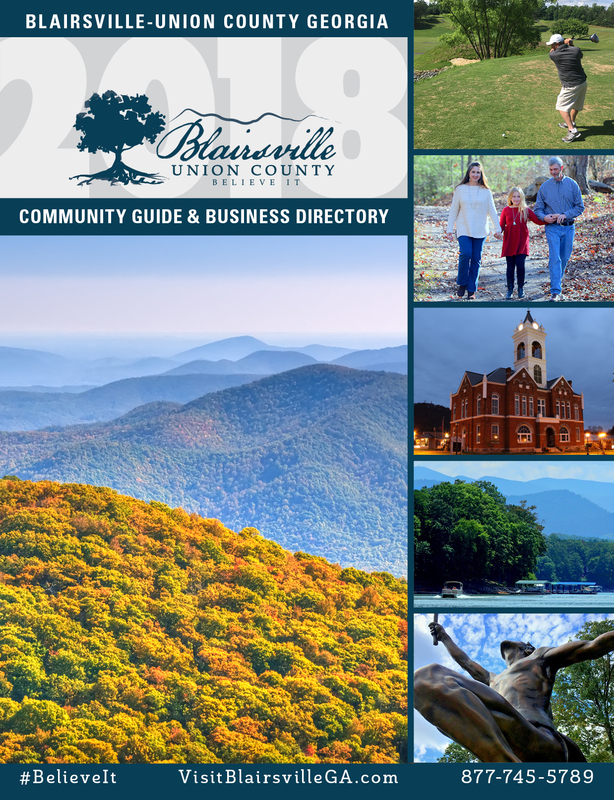 Blairsville-Union County is a prime location for businesses to grow and thrive in a community that will support your business and your family. Union County is ideally located between major cities, airports, and shipping ports in the southeast, and has the infrastructure and acumen to support companies from start ups to large, established manufacturers. See what Blairsville has to offer your business! Top-rated schools, an award-winning hospital, thriving food scene, and more, all make Blairsville a wonderful place to call home. With amenities like 4-lane highways, a regional airport, and sprawling farmers market and cannery, it's easy to see that this growing mountain town offers all of the conveniences of city life with the peaceful pace and beauty of the Smoky Mountains. Blairsville-Union County, in the heart of North Georgia’s Blue Ridge Mountains, is one of Georgia’s best kept secrets. Only a two- to three-hour drive from cities like Atlanta, GA, Chattanooga, TN and Greenville, SC. This community features outdoor adventures, festivals, waterfalls, amazing food, syrup, wineries and distilleries, and much more! It's a great getaway for people of all ages, and offers something for everyone in the family. Come and see why people find it so easy to fall in love with Blairsville!